Zinc-plated steel cavity fixing for different board thicknesses. Self-expanding spring mechanism. Supplied pre-assembled. Fischer KT Metal Spring Toggle M5 x 50 (50 Pack) is rated 3.8 out of 5 by 8. 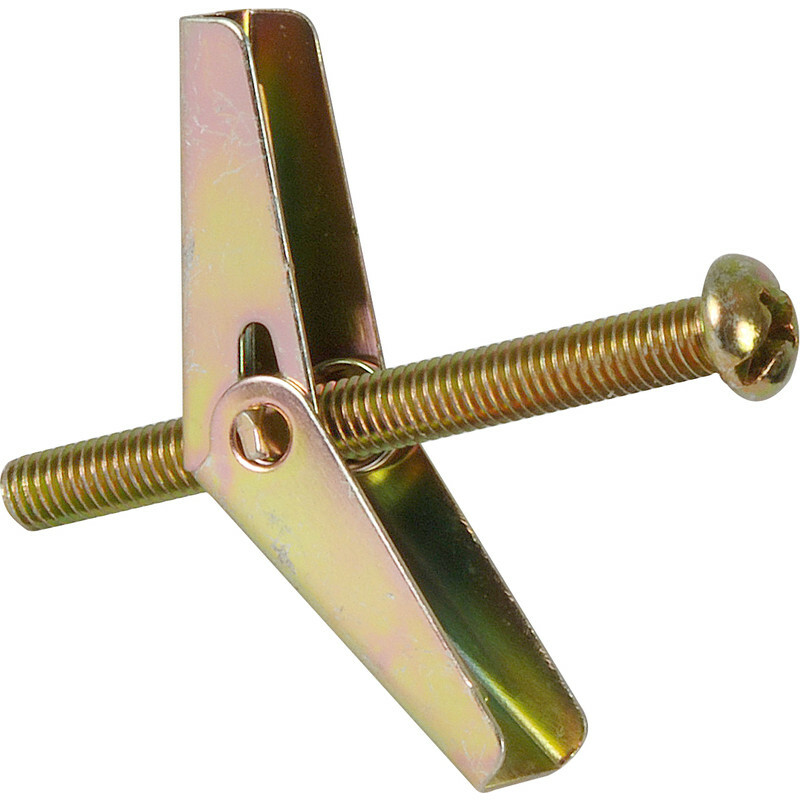 Rated 5 out of 5 by Fighter from Toggle screw M3 x 50 Good quality product, from a good stable. Rated 5 out of 5 by Fighter from Fischer M5 x 50 spring toggle. Quality goods and ideal for hollow walls. Rated 5 out of 5 by Fighter from Metal spring toggle M6 x 75 by Fischer.. l. Wonderful quality fixing, ideal for hollow or plasterboard walls. Glad I purchased it. Rated 4 out of 5 by dimi from good product I bought this product a week ago and happy with the quality and fit. Rated 4 out of 5 by BUFFERS from Good value Got these as a friend had bought a new timber frame house. Ideal for putting up bathroom fittings, good strength but do not over tighten or thread with go! very good value and well made. Rated 1 out of 5 by Millersford from Poor quality for Fischer I purchased these thinking that they would be better than the cheaper versions I previously had, but they were no better and every other one stripped its threads. So I am now looking out for a "quality" version. Very disappointed. Rated 5 out of 5 by TerryD from Great for hollow walls This product was almost twenty times cheaper at Toolstation than those places which purport to do DIY. ToolStation is by far the best place in town for all my DIY and gardening needs.